Most commonly used with meat and fish, rolled in the seeds prior to cooking for a crunchy coating. 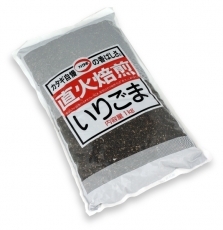 In Japan black sesame is used in rice and noodle dishes. They have a more concentrated flavour than white sesame seeds.